FormEditor allows you to edit any eso/es form to meet your own needs. Standard eso/es forms (documents) can be copied into FormEditor where you can edit and save them for you, a group or the entire company to use. All you need is the relevant authorisation. FormEditor can edit all the different elements, i.e. labels, input and output fields, buttons, lines and frames. Enable text prediction for the different fields. One standard form may have different variations, which you can remove at any time and restore the original version. You will surely appreciate the possibility eso/es gives you to make sure that your edited form is compatible with the application settings. This will prevent you from removing fields necessary for the proper functioning of the system as a whole. The resulting forms are thus optimised for specific users and the whole company. 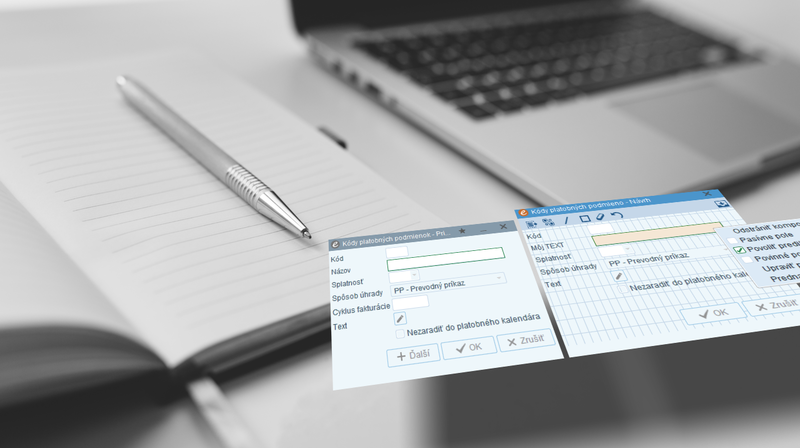 Data input into eso/es is more effective, easier and faster than ever.